To better its relationship with customers is the primary challenge that companies are facing now-a-days. In the technology driven era, when, a customer has ample ways to reach a product and several means to cross check the product’s credentials and most importantly price, then, companies are left not with any other option, except to redefine their relationship with customers. Whether, it is a newsletter, marketing collateral or a website or TV ads, a stakeholder will have to use all the available communication channels to keep his customer intact in its kitty. 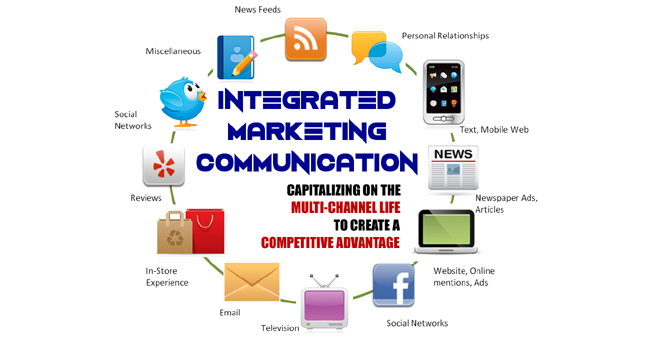 To make this task of market communication easier, the emerging field of Integrated Marketing Communication (IMC) has very become very handy for the marketers. Broadly defined, an IMC is a mechanism that strategically manages audience centric, channel focuses and result oriented brand communication over a period of time. In this way IMC, after receiving a variety of exposures from the field of psychology, marketing and mass communication offers a set of campaign ideas that a consumer responds, instantly. Moreover, IMC lets a company to better utilize its resources and connect them to better communication channels. It integrates promotional mix very adeptly with creative elements and organizational factors for an exceptionally excellent branding proposition. An IMC has offered a very radical shift from the conventional marketing strategies and advertising channels like PR, sales promotion, specialty items, and merchandising to two-way communication channel as personal sales, direct response marketing, events and sponsorships, trade shows and exhibitions, e-commerce, customer loyalty programs, plant tours and other customer service activities. • When a firm desires to save cost allowing companies to pursue new ways of increasing productivity and value from marketing and media expenses. • When cost of database development and usage is needed to be reduced. • To meet out the increasing global competition. It seems an interesting blog about Content writing. Keep posting like this useful blogs! !